Burris’ extensive lineup of rifle scopes, handgun scopes, spotting scopes, reticles, mounting systems and accessories is further complemented with Burris sights. This category is inclusive of AR sights and Red dot sights. 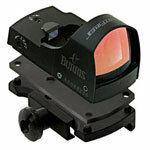 The Red dot sights from Burris are further divided into the FastFire series and the SpeedBead systems. Each AR sight and Red dot sight is rugged and capable of performing flawlessly in challenging conditions. 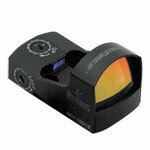 The lenses incorporated in Burris sights is of the highest grade of glass, and ground and polished to eliminate distortions. They pave the way for unbeatable target acquisition speed at close as well as medium ranges. They produce bright reticles and yet consume very little power. 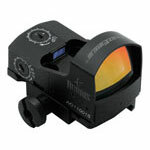 To add more, the Burris Sights are parallax-free and unlike traditional rifle scopes. 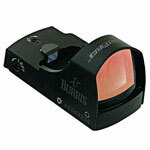 Burris sights are extremely versatile and ideal for a number of hunting and shooting applications. They can be used for 3-gun match competitions and heavy caliber recoils, and by law personnels for day to day tasks. Special attention to detail has been given by the brand to ensure the sights deliver an outstanding performance and never let the user down.